Build your brand on campus. Employers can visit the Carey Business School to hold on-campus information sessions. These session provide an ideal opportunity for companies to identify and meet interested candidates, market their organization, and advertise available job or internship opportunities to Carey students. Information sessions may be scheduled at our Baltimore or Washington D.C. campuses or at your place of business. 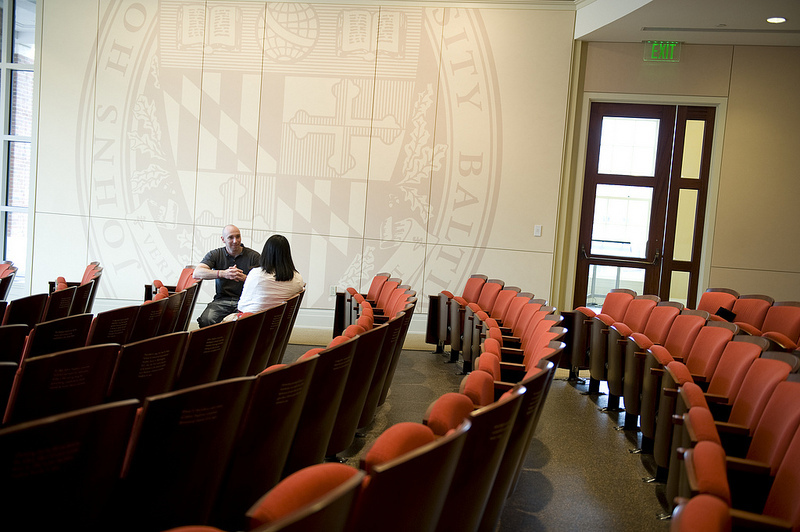 Information sessions may be scheduled throughout the academic year, at either our Baltimore or Washington D.C. campuses. Information sessions may also be scheduled at your organization—our team can work with you to arrange a date and time. For information sessions held at a Carey campus, our office can arrange for AV equipment and recommend caterers for refreshments. Our general policy is to open information sessions to all interested parties, though we offer employers the option to target specific student groups/organizations, if they prefer.